Renovating your home is always a costly endeavor. Still, it is one that will bring you benefits in the long run by ensuring that the entire construction and its surroundings are upgraded, durable and reliable. While we all know that interior remodeling is both time-consuming and expensive, few homeowners actually stop to think about how much an exterior one could set them back. 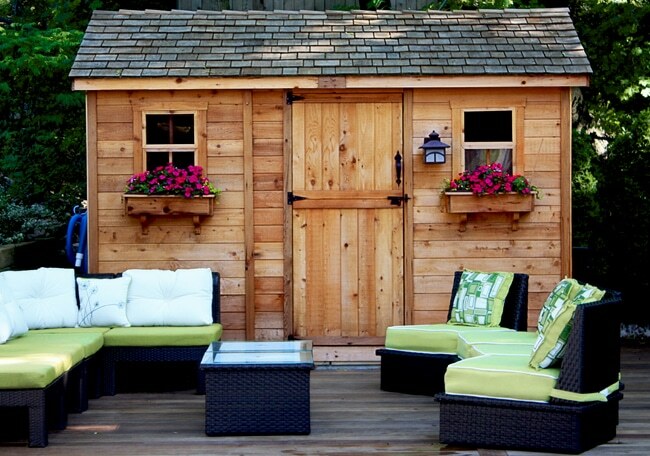 If you’re not careful, remodeling the outside of your home and the backyard can set you back a pretty penny. In fact, it gets even more expensive than upgrading your entire home. Fortunately, there are some clever ways to avoid overspending. Here are five tips to help you save money on exterior renovations. This following statement is true for just about anything in life: planning ahead raises the effectiveness and success rate of any project. In the case of an exterior remodel, knowing exactly what, when, where and how you want it helps both you and your contractor get a clear idea of what the finished product will look like. This will lower the risk of mishaps, which will save you a lot of money in return. There are some jobs during a remodel that you can do yourself, but for others, you will need to hire a pro. The crucial aspect of the contracting process is getting a good estimate for any project, be it a new garden, an upgraded roof and so on. It’s essential to wait until you’ve heard a few prices before jumping in. Furthermore, you need to know what goes into making an estimate beforehand so that you’re prepared for what follows. If you’re looking to update your outdoors plumbing and irrigation, read more here about how a good estimate in this field should look like. Ensure that you are taking the right decision by having adequate knowledge on the subject. As you may very well know by now, tearing down inner walls or other structural components of your house on your own is not recommended. For such jobs, hiring a contractor to do the dirty work is certainly the best idea. You don’t want to risk tearing down a load-bearing wall or even unknowingly plunging your tools into electrical wiring or plumbing. However, smaller scale exterior demolitions are simple and can be persuaded by any homeowner. For example, some professionals consider a deck to be the easiest thing for someone to tear down. Furthermore, outer structures such as sheds or gazebos are also something you can unassemble yourself. Just like you can tear apart an old gazebo or shed piece by piece with your own two hands, you can also assemble a new one. By using handy kits for any outdoor construction, you are saving a lot of money due to not hiring a specialized contractor to do all the building. Such products come complete with everything you need to put the thing together on your own, including a detailed instruction manual. It’s important to remember that spending a few extra bucks here and there in certain areas that require it will save you a lot of money in the future. Therefore, while it might not feel like you are being wise at first, the results will be more than visible in the long run. Thus, what you need to do is think ahead, and wisely at that. For example, if you buy plain siding for your house it will be cheaper on the spot. But when you think long-term, the pre-painted and pre-primed variety of the same component will help you save both time and money in the years to come. You will have to repaint it way less often, thus limiting unwanted renovation costs. Saving money on your exterior renovation projects isn’t impossible if you’re making the right choices. The essential thing here is to always plan ahead in order to avoid any costly mistakes. On top of that, you always need to work with the best contractors that will give you a fair estimate on their handiwork. There are also some things that you can do yourself. For example, you can demolish old decks or adjacent yard buildings with your own two hands. On top of that, you can also reassemble the new ones by ordering handy DIY kits for anything from sheds and gazebos to pergolas and tree houses. Last, but certainly not least, be wise about your spending. Think matters through rationally and decide which areas of your project deserve a bit more investing into. Spending a bit more money on them now will actually save you tons of money in the future, so always ensure that you are making the best choices.